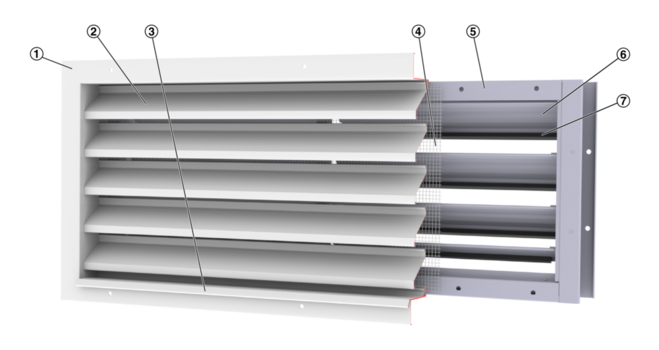 Combinations of external weather louvres and non-return dampers as a protection against the direct ingress of rain, leaves and birds, and to prevent air from flowing against the intended airflow direction. 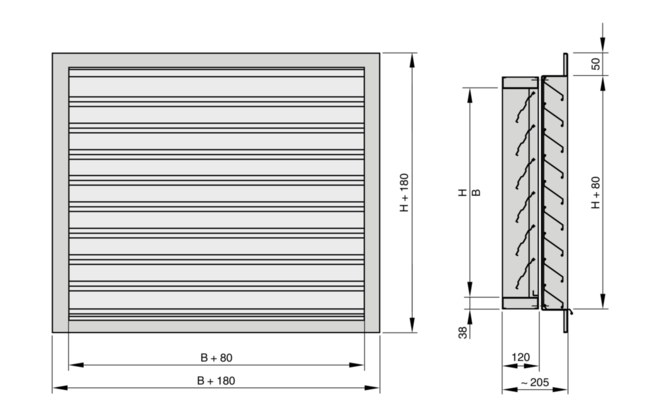 Combinations of an external weather louvre and a non-return damper. Rectangular non-return damper to prevent air from flowing against the intended airflow direction. 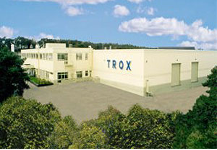 Non-return damper which consists of a casing, blades with low-friction bearings, and travel stop and sealing parts. 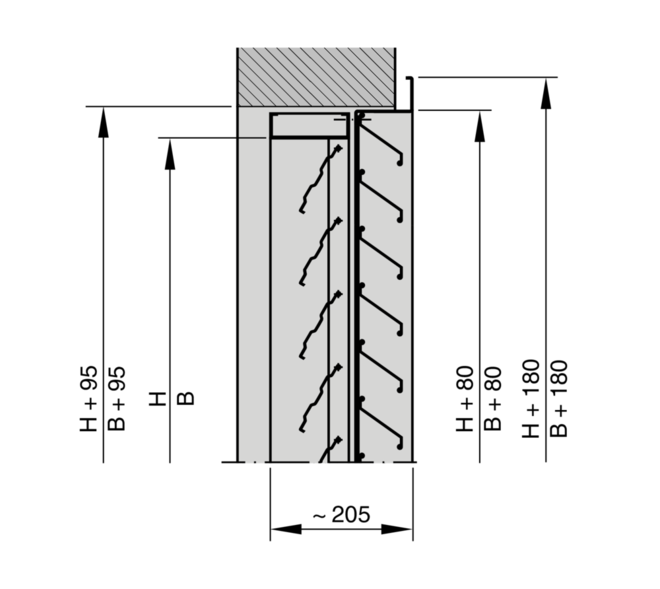 ⑥ The nominal size equals the dimensions of the duct connected to the non-return damper. Depending on the size of the installation opening, an installation subframe may have to be used.